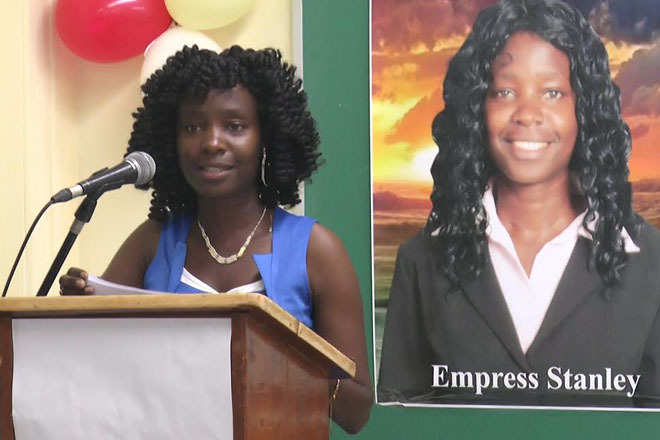 (ZIZ News) — Local teacher, Empress Stanley launched her new book “An Insight into Life” at a ceremony at the University Of The West Indies, Open Campus, on Thursday. Measurement And Testing Coordinator at the Curriculum Development Unit, Winford King while addressing the audience, gave a review of the book. “The book is a very inspirational one. It conveys some wonderful morals and values. The book is easy to read and relates to everyday situations and people”, he stated. Empress Stanley explained what inspired her to write the book. “I looked into society and I said to myself, other youths are facing the same challenges but they are not bold enough to stand up for what they want for themselves so I would be the one to stand up for them and I would pave the way. So I decided to write some short stories because Mr. Leroy Pemberton convinced me that my short stories were great”, Stanley expressed. The book, titled “An Insight Into Life” is a collection of stories based on the author’s struggles and triumphs as she transitioned from a youth into adulthood.